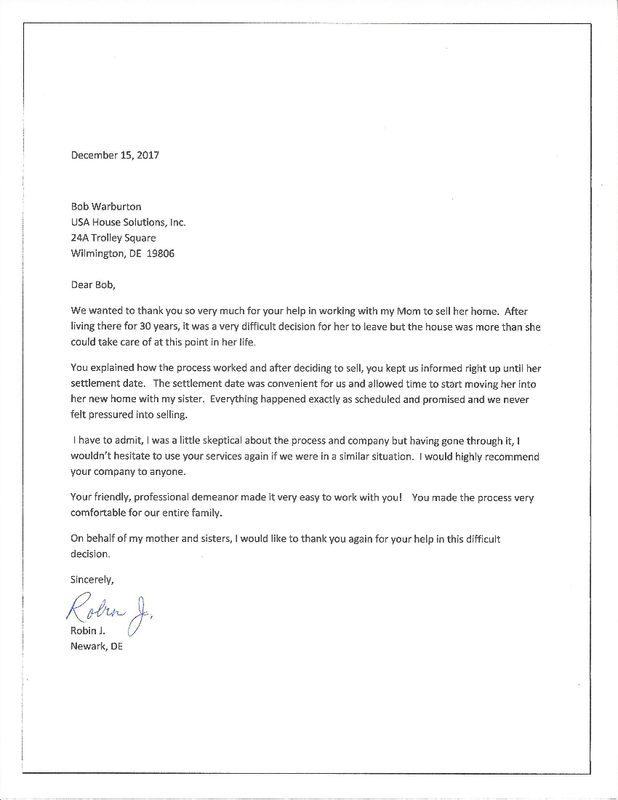 Robin J. Testimonial - USA House Solutions, Inc.
“You explained how the process worked and after deciding to sell, you kept us informed right up until her settlement date. 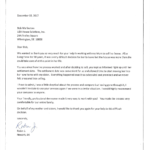 The settlement date was convinient for us and allowed time to start moving her into her new home with my sister. 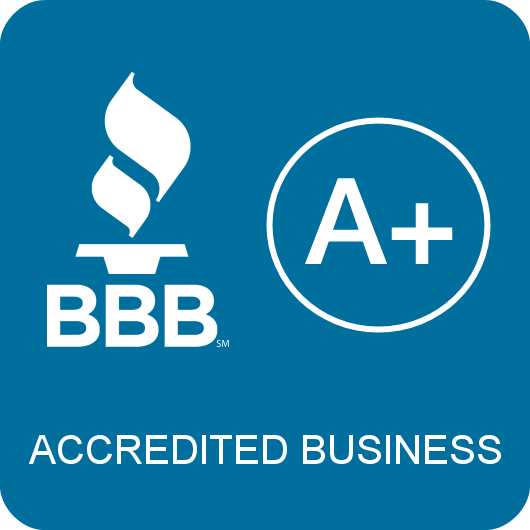 Everything happened exactly as scheduled and promised and we never felt pressured into selling.” – Robin J.